Puzzle graphics for professional PowerPoint presentations. 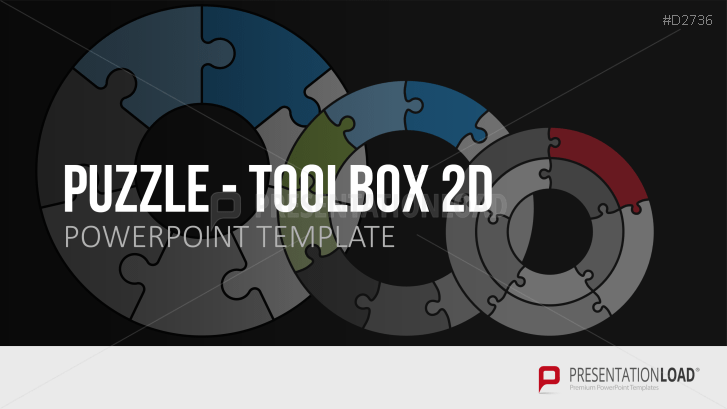 This PowerPoint toolbox includes 80 puzzle graphics and puzzle pieces in various designs. Similar to big puzzles, projects require effort and patience and consist of many small pieces that form one whole. To reach a perfect result, single parts have to be put together in a particular way and require a professional setup. Use this collection of puzzle graphics to illustrate how project stages and workflows are interconnected. Puzzle symbols and graphics serve to emphasize particular statements and to demonstrate the significance of well-coordinated processes. This PowerPoint template set offers a broad selection of puzzle graphics in various shapes and constellations. Every element can be arranged according to any professional or creative requirements.